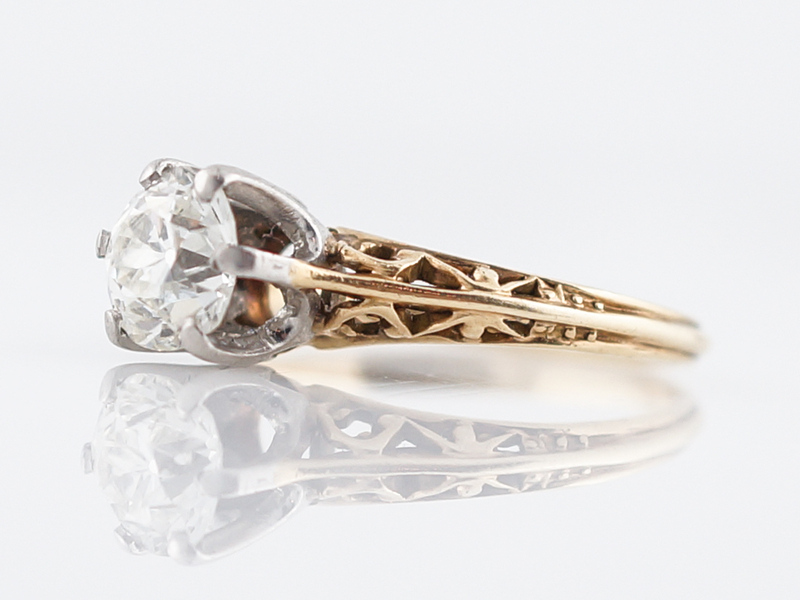 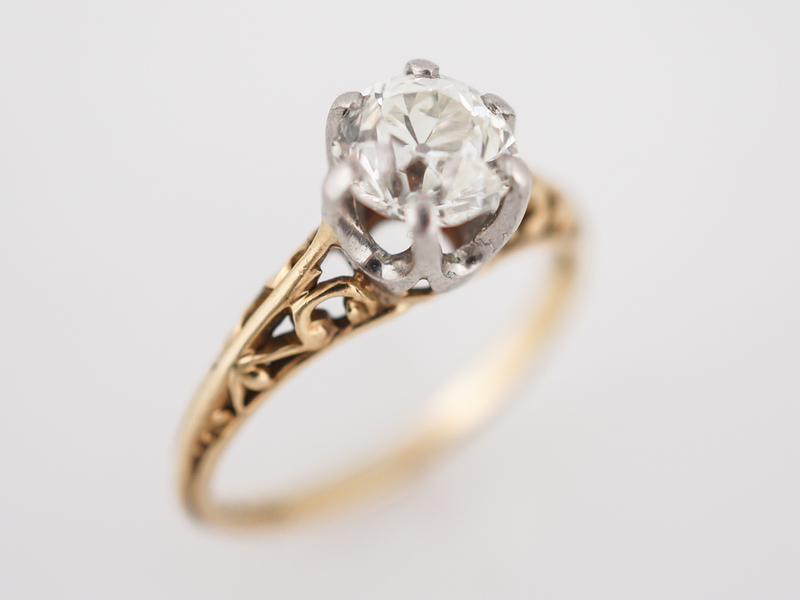 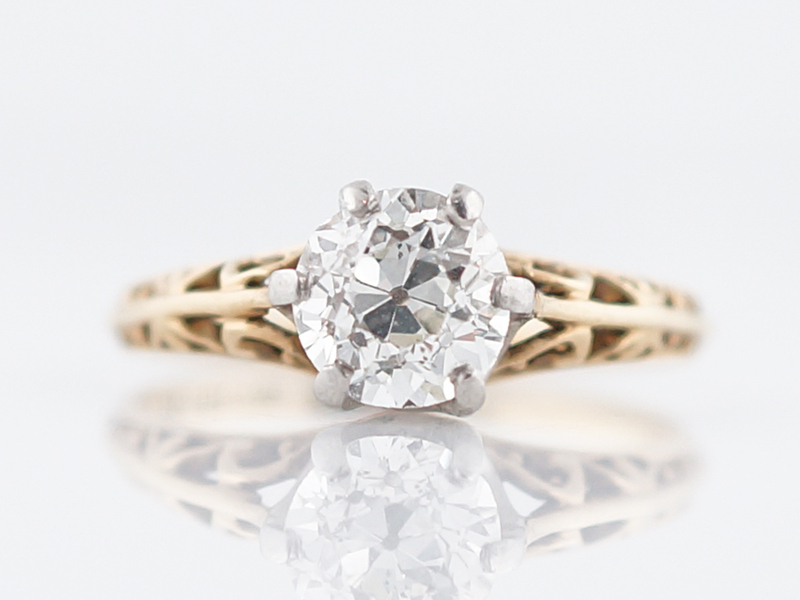 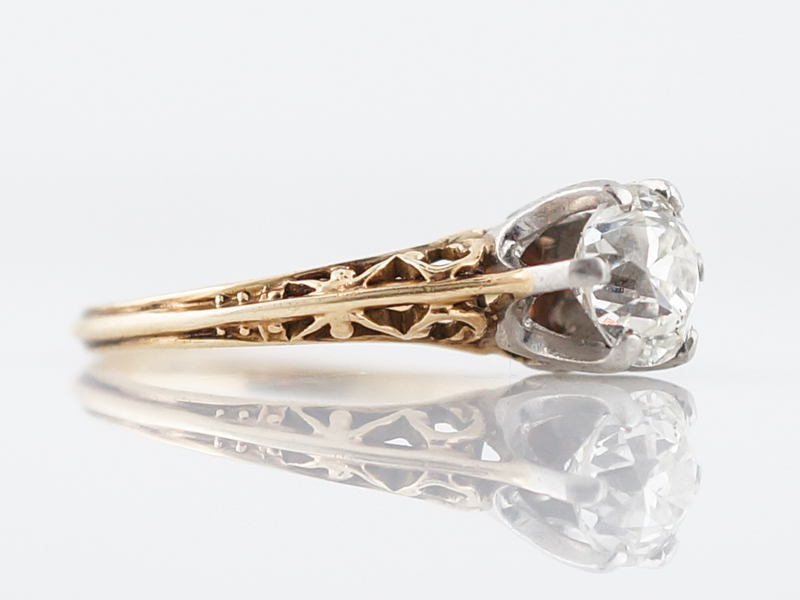 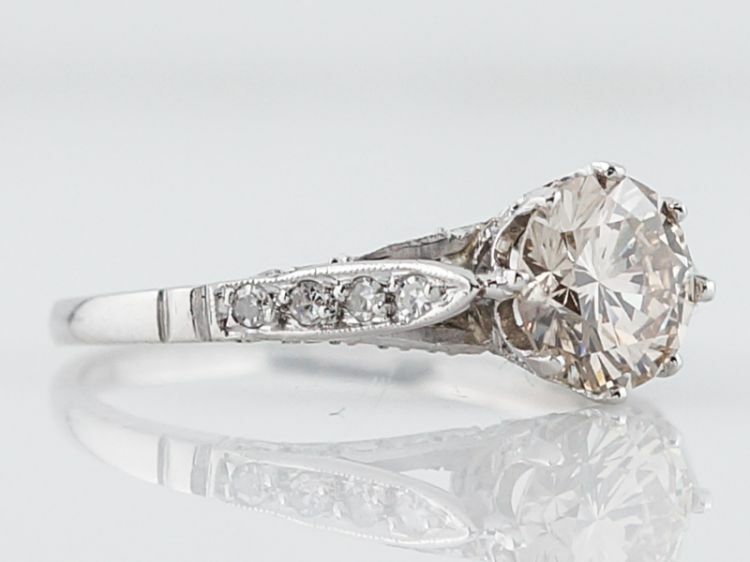 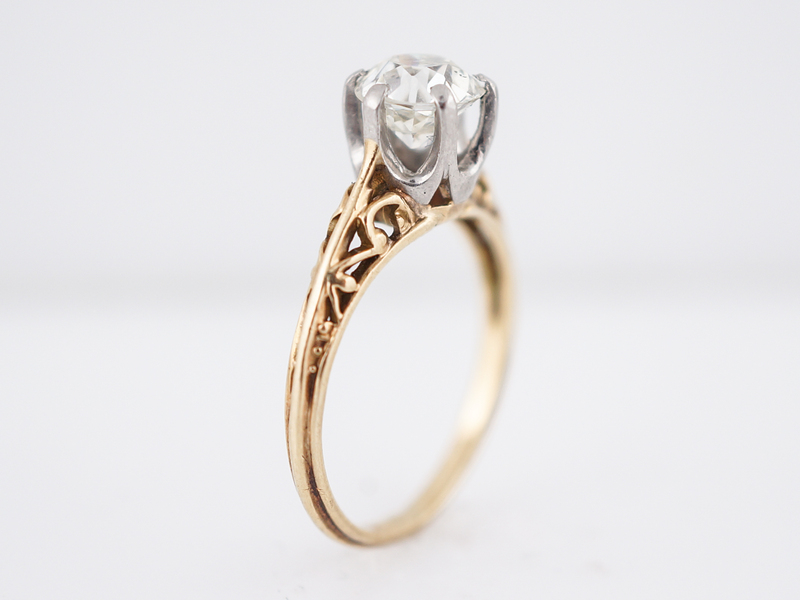 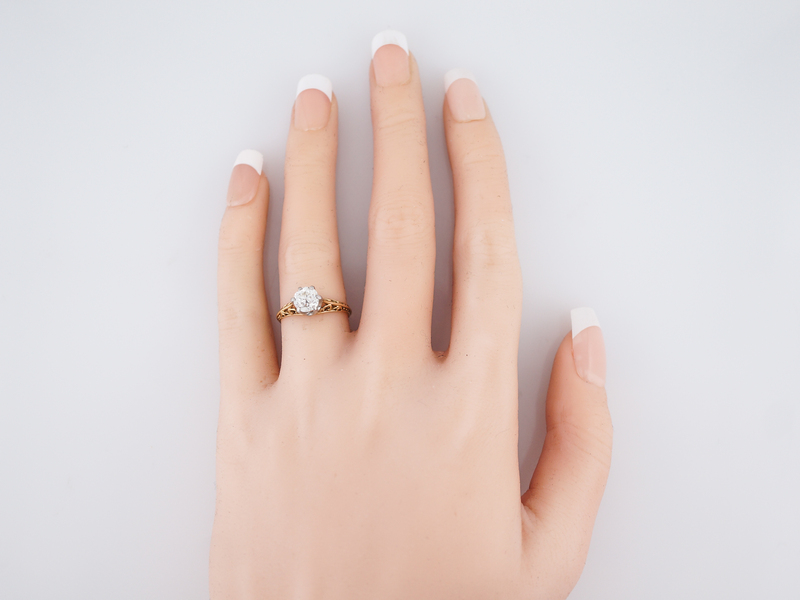 This original antique Art Deco engagement ring features a .93 carat old European cut diamond set in 14 karat yellow gold. 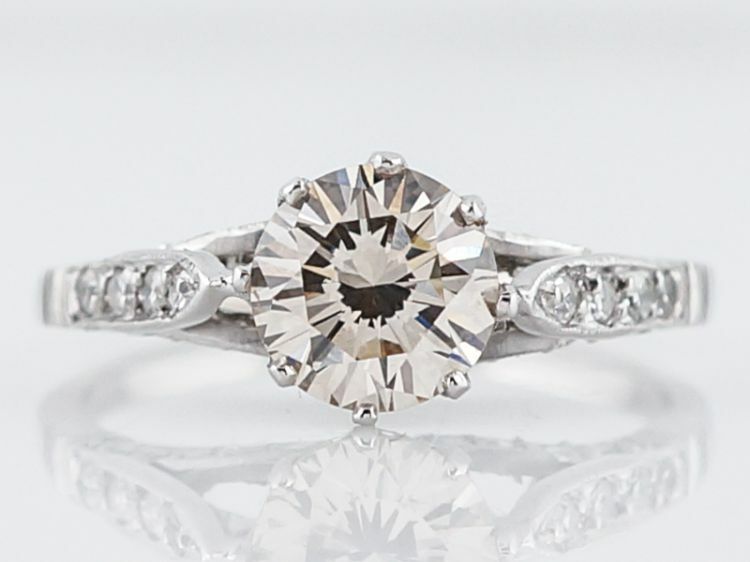 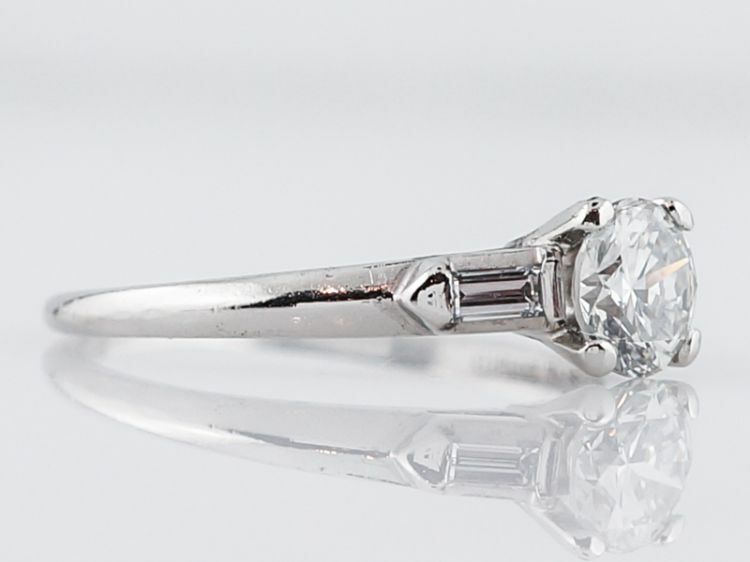 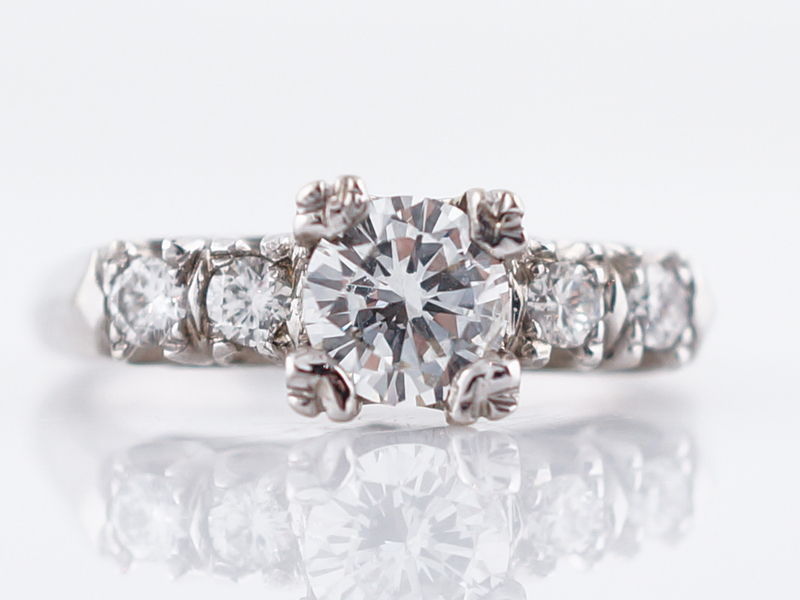 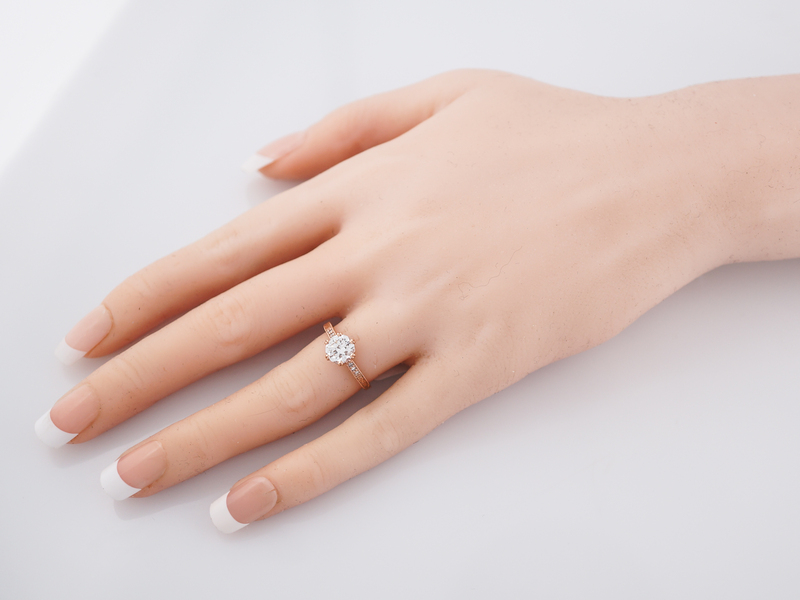 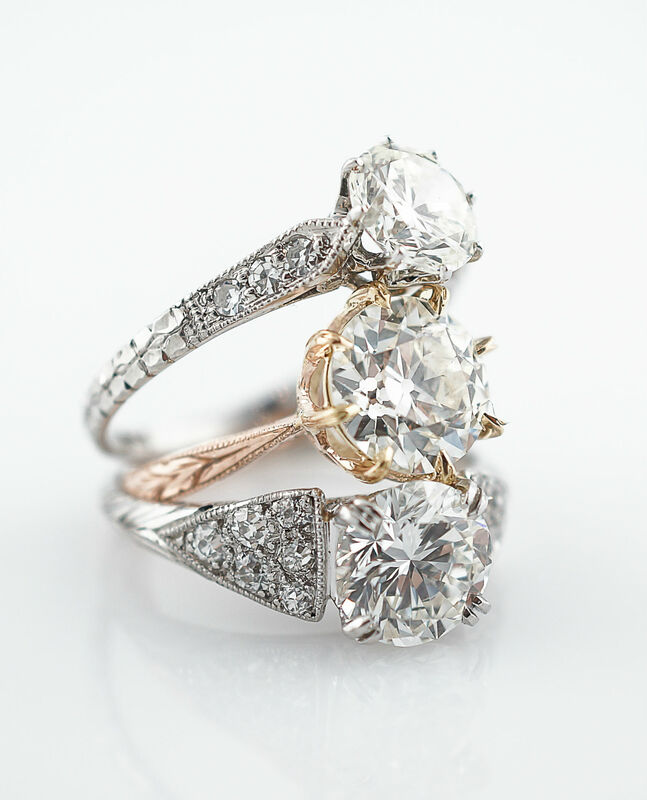 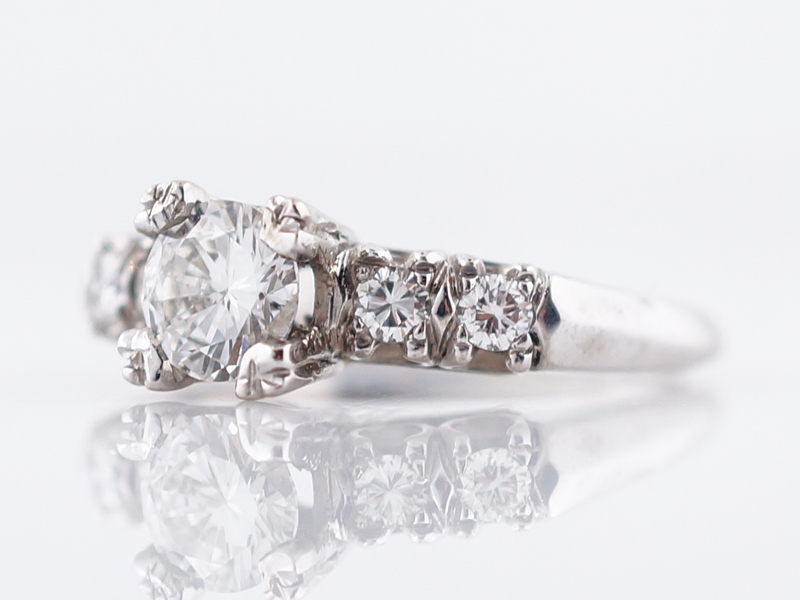 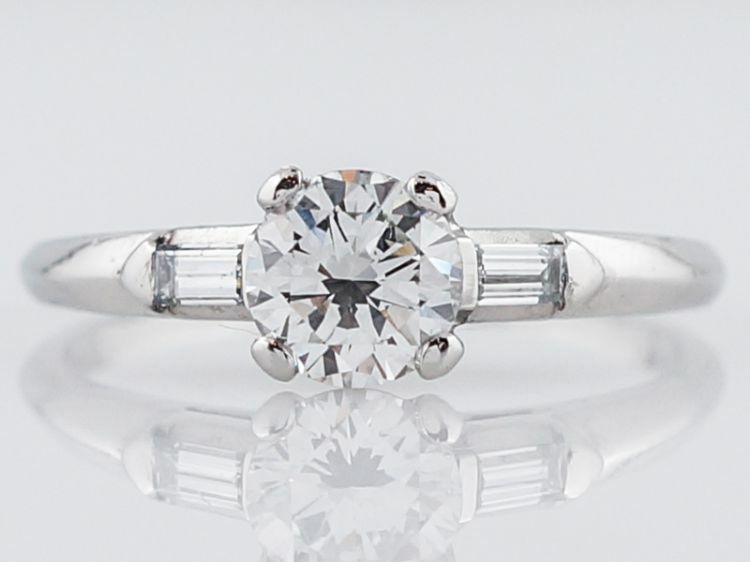 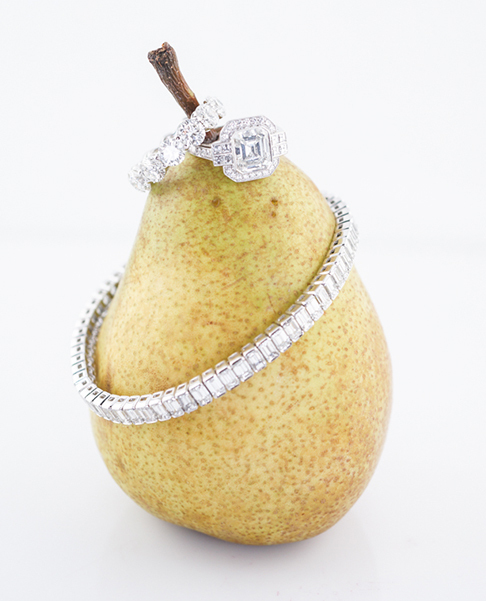 The solitaire center stone is prong set in a carriage adorned with fine open filigree. 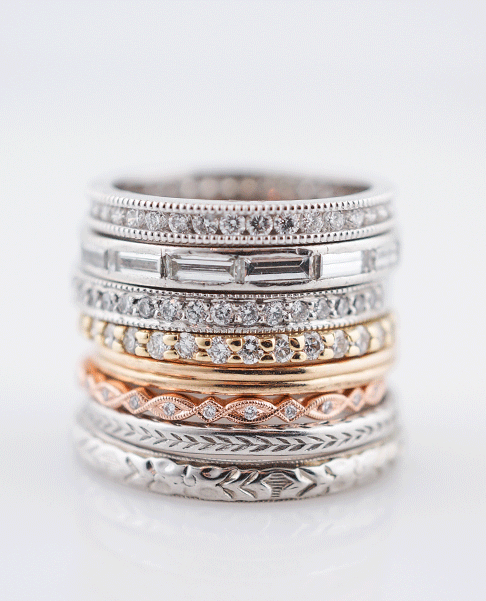 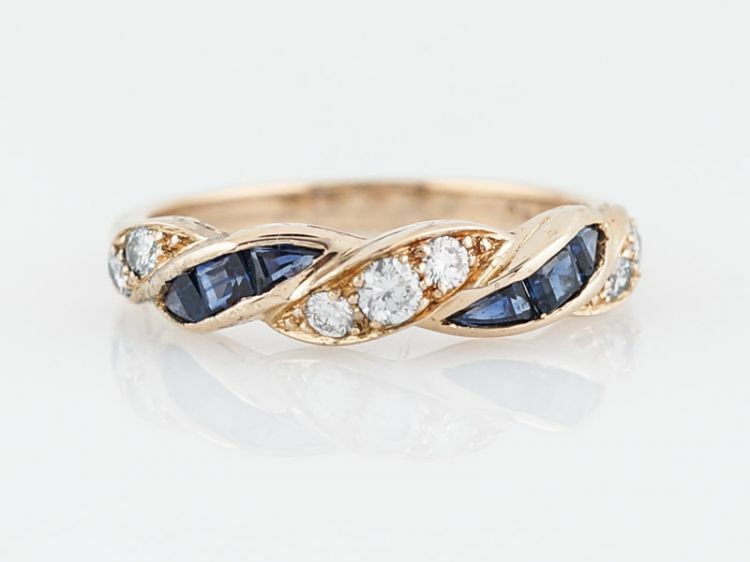 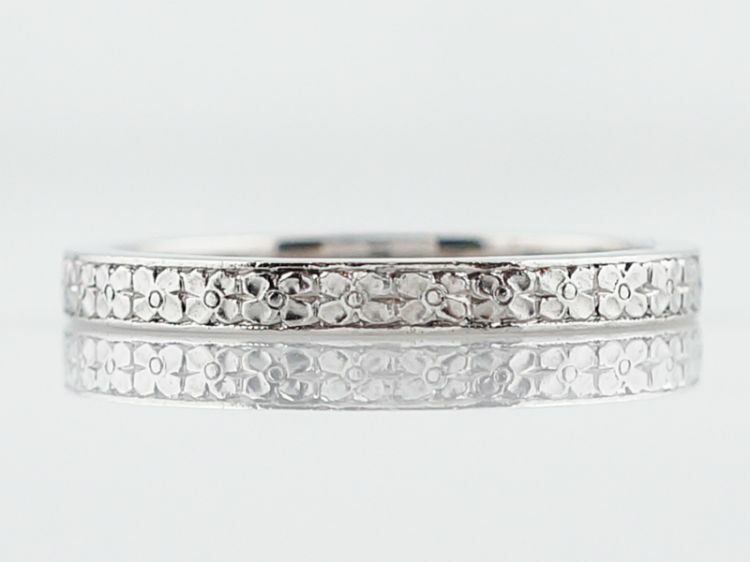 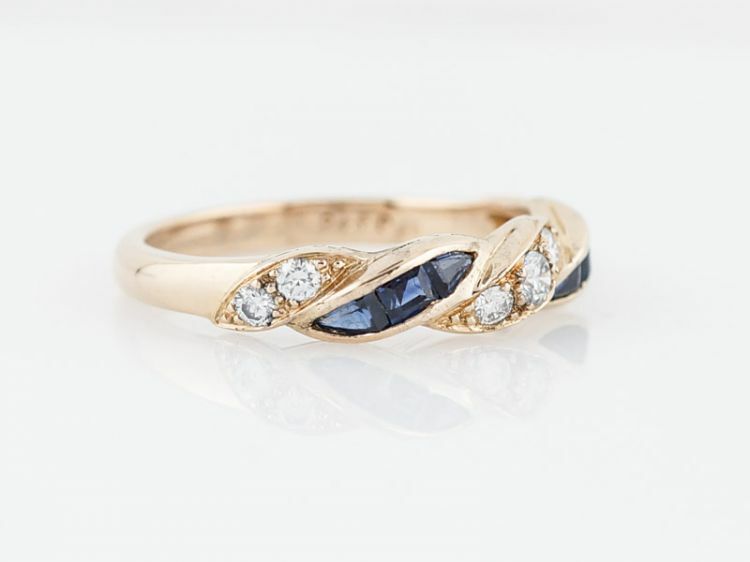 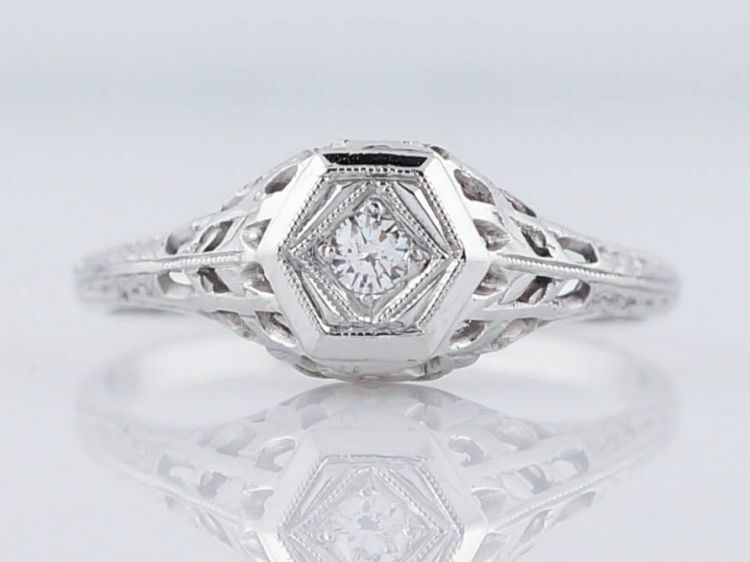 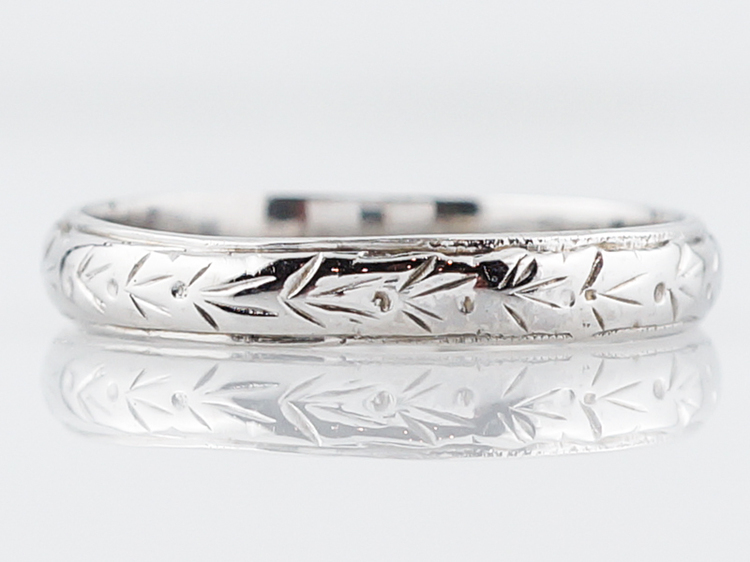 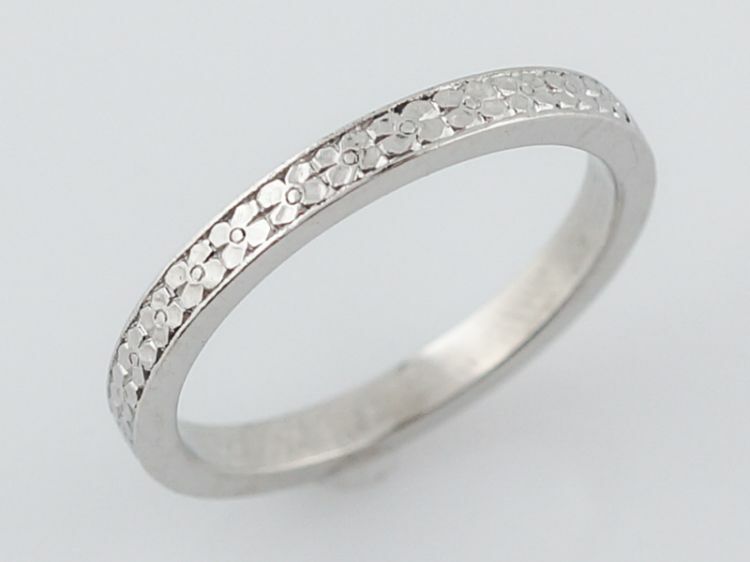 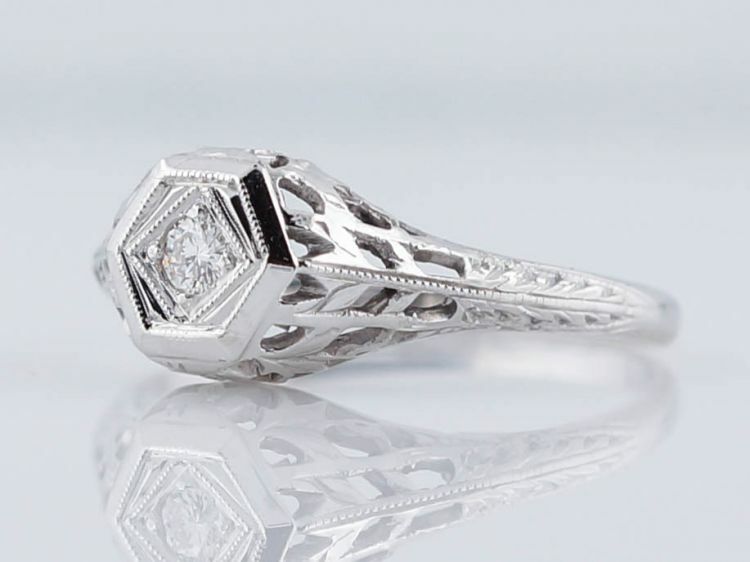 The open filigree continues out from the carriage down the shoulders of ring, creating a unique organic feel and look. 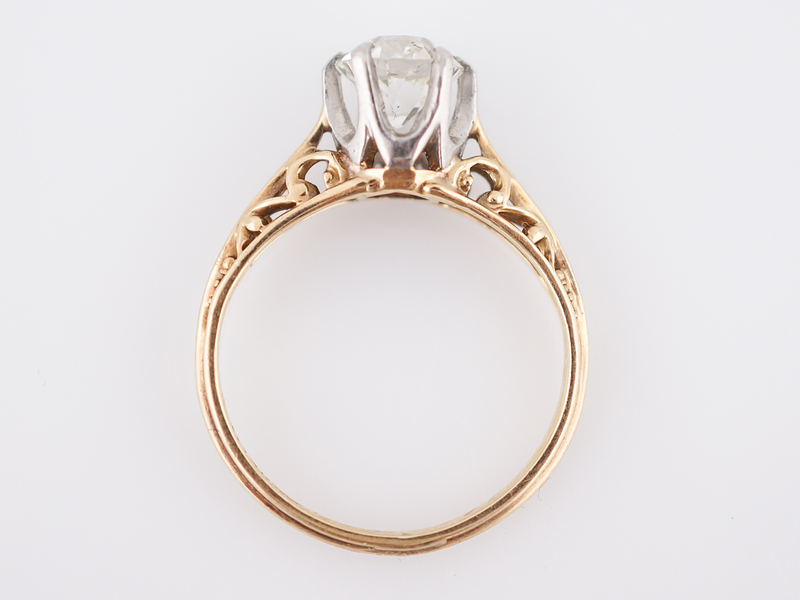 Delicate milgrain on the base of the carriage rounds out this wonderful example of Art Deco elegance. 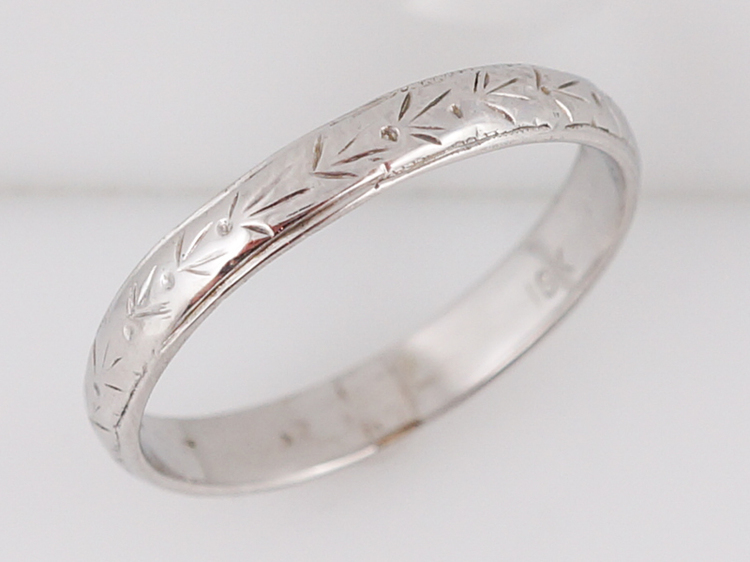 Interior Engraving: “14k”.